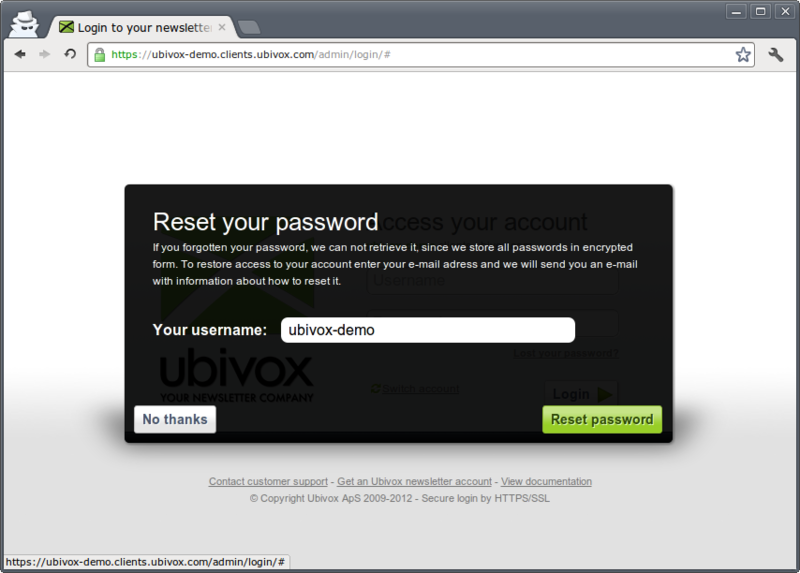 In order to receive a new password to your Ubivox account you need to use the Reset password function. Visit the site where you normally log in to your account (1) and select Lost your password? (2). 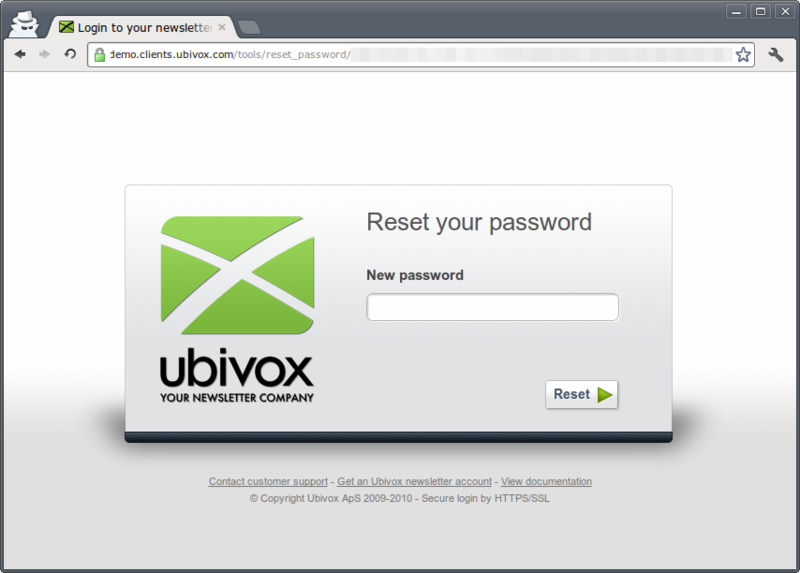 Type in your user name and select Reset password. 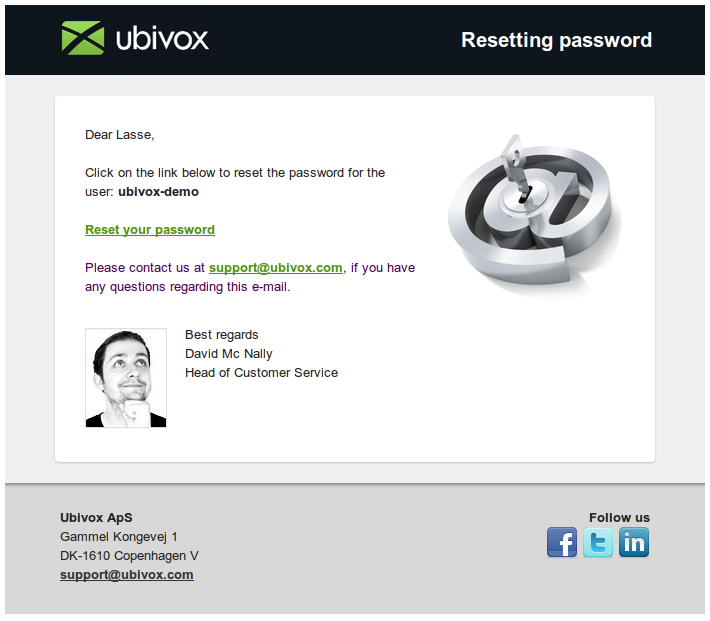 An e-mail has now been send with a link to reset your password. 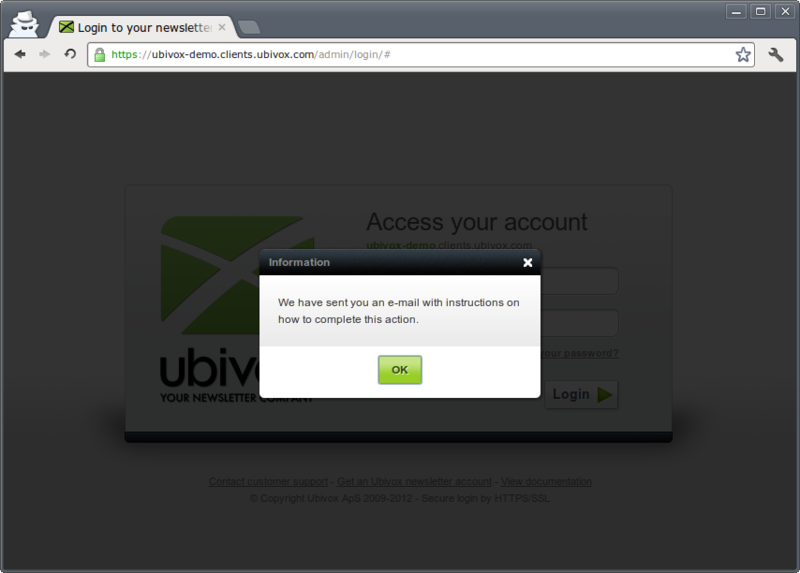 Click at Reset your password in the e-mail. Your will now be directed to a site where you type the new password you wish use to log into the system in the future. This guide elaborates how you add a new credit cart to your account.